People normally don't understand the difference between "Web design" and "Web development". The truth is, both are two different terms. It is necessary to know the difference between both if you are looking out for a company to build your website. Web design is dealing directly with customers. A good web design company India will always attempt to give your website an attractive look. A designer's concern will be how your potential customers can interact with your website. Designers are aware of placing all the principles of design together and create an innovative website that your potential customers would love to sail around in as it is effortless to do so. 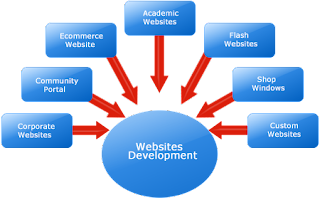 Web development is the end process of the website. A web development company focuses on the work of a website and help your customers get things done on it. They understand the CGI program and scripts like PHP. The developers are aware of the web forms and knows how they work and how to keep your site running successfully. The key responsibility of a web design company is to create and maintain the web pages. The designers organize the page layout and they normally don't involve the technical aspects of a website. Whereas a web development company India is responsible to plan your site and create the navigation. The developers cover (covering) the technical aspects like web hosting server setting, business accounts, payment gateways and back-end databases. Web designers concern about graphical elements of a web page. They will offer you framework to see the looks and feel of your website. You will be provided with a blueprint as well as a model by the web design company, to check how your website will look and work. Once you make your mind with how your website should look like, the next stage will be the web development process. At the point when a website is developed there are normally two interfaces. - Front end and Back end. Web development includes the programming required to build the back end of a website, that is not viewed, but it does the work required to present the right information in the correct format to the visitors. Last but not least, web design concentrate on the visual aspect of a website, like the layout, colours, and interaction between links. On the other hand web development concentrates on the procedure of implementation, functionality and programming of the website. If you are looking to share your home internet connection between several people and control their bandwidth, you are reading the right article. Be it your roommate who is making your games lag by downloading movies all the time, or your sister who's watching YouTube and making your web browsing slow, there is a great and cheap solution: getting a router with proper QoS (Quality of Service) capabilities. 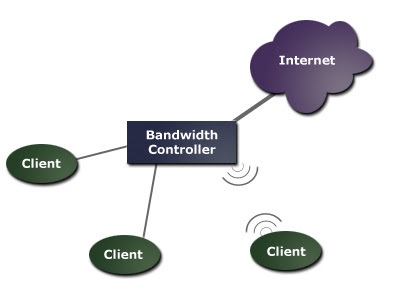 Usually, home routers have very limited options when it comes to controlling bandwidth by using QoS. It usually involves something like checking an option to prioritize games, and that's it. However, you can buy a cheap ($60) router and turn it into a powerful device that can perform nearly all functions of expensive, commercial routers. I'll take WRT54GL model from Linksys as an example, since I'm most familiar with it, but there really are more options to choose (like several cheaper ASUS models). For the sake of simplicity, I'll keep to this model, since it's really a great choice. After buying your cheap router, how do you turn it into something much more powerful? That's pretty simple really, you have to 'flash' the firmware, that is, install a third party firmware package onto the router. It may sound complicated, but it merely involves uploading the package using a very simple web interface - just like you would upload a picture to ImageShack, for instance. You will be able to use many advanced features then, such as unlimited port forwarding, very good QoS control, custom firewall scripts and so on (features will differ between different firmware projects). Which firmware to choose then? There are plenty, but I'd highly recommend Tomato. It's very stable, it actually might make your router faster, and it has tons of features, such as: wireless signal boost, bandwidth monitoring and all kinds of graphs you can view, connection details, and my favorite: a cool QoS control. You can basically prioritize traffic in any way you want: give more priority to your PC, web browsing, voice chats, games, or whatever; and give less priority to large downloads and such. You can even block whatever traffic you want, by port, mac address or l7 filter. You might have already bought a WRT54G(L) box, or a similar router which is capable of running Linux-based firmware, and you might still be using the default firmware, and wondering why would one want to flash it? There are a number of reasons, really, but if the default firmware works for you and you don't notice any problems or miss any features, you should probably just keep using it. One of the main problems I encountered immediately was that p2p programs used up a lot of connections, and there were not enough left for the regular web browsing (and the router forces a global 512 connections limit). You can't change that in the default firmware, but most custom firmware, like Tomato, lets you change the maximum connections limit; in fact, as soon as you install it, it sets a 2048 limit by default. The other problem with default firmware I encountered is very limited QoS control, and third party firmware fixes that like I explained in the paragraph above. To wrap it up: buy a WRT54GL box; flash the third party firmare; enjoy! If you find that Tomato isn't for you, then there are a number of alternative third party firmware, such as DD-WRT, OpenWRT and Thibor. You can find more info about those on the Linksys forums. Making use of PHP language in your ecommerce site is a great idea and a PHP web development company will certainly help you in the entire process. Large numbers of ecommerce sites are increasingly making use of the php programming language in today's date. The main aim is to make their sites look appealing and attractive like never before. Moreover, if you go for PHP, you can be certain that it will play a great role in creating dynamic websites, by means of which you as an ecommerce site owner can benefit tremendously. Moreover, PHP language can offer you some of the most advanced and high quality features by means of which you can get a professional and unique site. Accordingly, attracting your target customers will not at all be difficult in the process. Even if, the development of PHP is easy, it is obvious that you cannot do it by yourself. Therefore, you will require professional help. A PHP web development company will play a great role in bringing forward some of the highly advanced features for your site. In addition to that, you can also be assured of the fact that the services will be available at affordable prices regardless the company you choose. Therefore, you should not hesitate to get top notch help and services from any of the professional companies. You can save your money on these services without having to compromise on the quality of the services. The services offered by a PHP web development company xsinfosol will turn out to be usable and friendly. This in turn will make your website completely different and unique from the rest of the ecommerce sites. The full range of web development will play a great role in attracting the attention of large numbers of consumers to your site. The professional experts are thoroughly updated about the latest technology. As a result, it will be easy for them to implement some of the best techniques in your website to make it more successful. You will just have to specify your requirements in terms of your business and website. 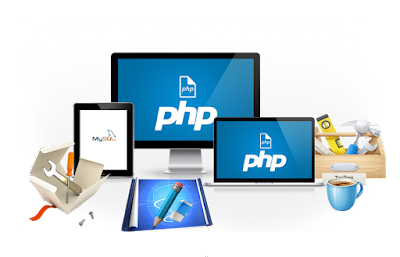 You can be rest assured that the professionals associated with PHP web application development Los Angeles will handle the entire responsibility. You will also not have to take any hassle, and you can concentrate on the other crucial aspects of your business. Therefore, within a very short time, you will find that your web pages have been created in this easy to use programming language. Therefore, it is time to make your move. In Today's World, Smartphones and Applications have gained a lot of popularity. 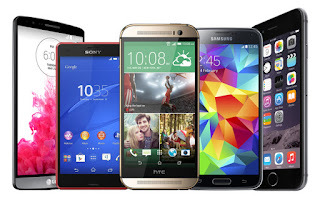 The World has witnessed smartphone industry grows by leaps and bounds. The Popularity of this industry has skyrocketed and the reasons are many. The process of Communicating with each other has achieved remarkable upgrades and it is all remarkable concept of Developing an Application based on Technology. The mobile application development technology is growing day by day and so the number of various applications developed for supporting other devices. Mobile Application Developers combine different elements to formulate software apps and solutions. Various Organizations have started showing interests in business Applications and across the Globe. Mobile Application Development is a Billion Dollar industry; the demand for developers has increased. Mobile Applications has taken the Mobile World on a huge mountain, and covered all aspects of Human life. The Growing Demand for Apps Developers - Today, Mobile Application Development is not limited to General Users but also reached Business and Institutional users. Healthcare, Real estate, Social Media, Marketing and many more vital areas of Human existence are being covered with mobile application. XS Infosol creates the best apps and is one of the Topmost Mobile Application Development Company in Noida, India. In the last one or two year the users of mobile phones has rapidly increased and India is a big IT hub. 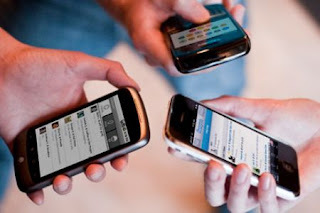 Innovative Mobile applications is increasing rapidly. Online Shopping payment and Gaming industry will be more popular in recent days. 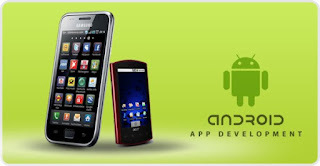 Upcoming App Development areas – If you really want to grow career in mobile apps Development. There is a lot of job opportunities in Mobile Technology because of Increased demand of the Smartphones Applications by Android, iOS, Windows and Blackberry. XS Infosol Reality is the new upcoming area in app development. It is a new concept and it will be reality. Leading Mobile Players in the Market have realized this area & are quickly looking to explore. This will change the way people see and feel things, Cloud Computing is another field where scope of App development and gives freedom to establish themselves in the app world. Mobile application Development covers vast range of booming sectors and many more to add on. XS Infosol is also another area where apps will play major role in near future. In the coming Future the Rising demand for mobile application development process will be a contributor in the growth of an organization as well as individual. XS Infosol is established as an IT company for Software / Web Development, and it extended the list of services on a developing mark since 2002 to deliver high profile Business Process Management, System Integration and Solutions for the clients, customized Social Media Application Development and also provides real time communication solutions. The Mission of XS Infosol is to provide maximum business value to the clients by designing the latest trends, developing the content, implementing it perfectly without any difficulties and maintaining high quality software solutions with efficient techniques for their business needs. In our work we maintain the values like Client and Employee satisfaction for a better future and social and business responsibility on the public profile. We take much effort for the development of natural and healthy business environments. Also, we maintain industry's best practices to enhance the potential skills of our employees by overcoming the communication barriers. We enhance trust and safe environment for our clients and we increase operational efficiency. XS Infosol has outstanding Business Strategies like Enhanced Business Analytical Skills which provides detailed elaboration of client business ideas for high profile Implementation Solutions, Individually Crafted Collaboration Approach, which offers flexible payment methods, unique terms and conditions present in our contract and on-site presence availability of our specialists, Superior Customer Service which provides complete project transparency for a better view on projects, adjustable working hours for the benefit of employees and the support of local representatives availability for the on-spot assistance around India and End-to-End services which comprises creative Software Design to fulfill the requirements of the client. We also provide prototyping, data visualization services for supporting Business Analysis. Quality Assurance, testing activities for testing the quality of the project, self development, hosting, support and maintenance, all services are provided for the benefit of the clients. XS Infosol is working on the fields, namely Web Application Development with years of experience in building business web applications, CMS-Open Source Development with the top position among WordPress, Web Development companies, Mobile Application Development with a name of renowned iPhone applications, Windows Application Development with a value of developing many successful Windows Applications, Software Testing & Quality Assurance with a well trained team for testing. We also we provide Technical Support & Maintenance as a perfect support to our clients and Hosting & Maintenance with fully monitorized server with a proactive team of support. XS Infosol has several types of Web Application Development namely .Net Development for Web Applications, PHP Web Application Development on all types of applications, CMS Application Development, E-Commerce Development, etc. CMS-Open Source Development is also done by the company on platforms like WordPress, Joomla, Magento, OS Commerce, etc. Mobile Application Development is done under the categories of iPhone Application Development, iPad Application Development supporting all models, Android Application Development on Java, Blackberry Application Development, etc. Windows Application Development is done with Development Tools like .Net Framework on all versions, C#.Net, WCF, Windows Forms and WinForms on Infragistic Controls, WPF. Software Testing and Quality Assurance are one of the most important tasks when it comes to XS Infosol. We concentrate on each project for assuring the quality of the project. The testing process is categorized depending on the project. There are a few ways to find web design companies in your area. One way is to search the web for: "Vancouver web design" or "Sarasota Web design", obviously depending on the city closest to you. You could also search the Yellow pages for web design companies. Most web design companies who can afford to advertise there have already built a pretty go reputation and have been in business for a while. 20 November is celebrated as the international day for children. The United Nations General Assembly recommended in 1954 (resolution 836 (IX)) that all countries institute a Universal Children’s Day, to be observed as a day of understanding between children and of activity promoting the welfare of the world’s children. The date of 20 November marks the day on which the Assembly adopted the Declaration of the Rights of the Child, in 1959, and the Convention on the Rights of the Child, in 1989. The Ministry of Health and Social Services has organized a poetry competition as part of the activities for Universal Children’s Day on November 20th. The focus and theme of this year’s observance is ‘Child Sexual Awareness–Break the Silence, end child sexual abuse’. The Poetry competition is one of the activities organized by the Ministry to bring awareness and to educate all. The competition is targeting grade six students at all primary schools on island. The students are required to take the theme, ‘Break the Silence: end child sexual abuse in Montserrat’ as the base for their poem. All poems will be looked at and judged for the awards of first, second, and third place. There will be a prize and a reading of the poem by the winner. The closing date for submitting poems is November 13th. The poems should be submitted to the Head Teachers of the Primary Schools who would then send them on to the Social Services Department. The Internet is a powerful and beneficial marketing tool that can enable a business to grow by leaps and bounds. It promotes your company's development effectively—such development is way better than traditional promotional techniques. 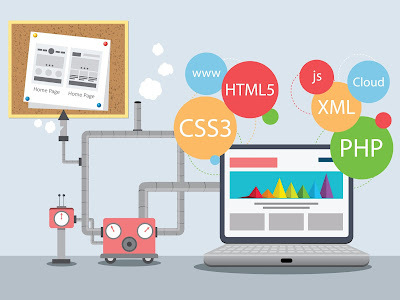 As a process, web development is a high-level marketing technique that showcases your expertise and enables a company to be globally recognized. A web development company enables a website to run smoothly. These companies hire experienced, professional developers to offer you the best service. Plus, they analyze various factors such as the total cost of equipment and of project. Some of the experienced web development companies offer solutions as per their client's needs, too; such companies analyze the client's system requirement and design the solution that suits such needs. A web development company—the one having rich experience and deep domain expertise—offers you customized website, especially created to fulfill a business's needs. In a custom web development project, a business gets custom web development company / solutions that are designed for its operations (strategic and/or tactical). 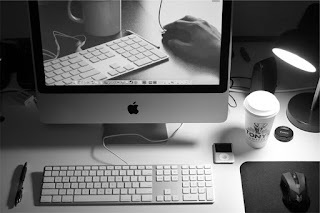 After web development, a business should focus on designing a site. Always choose a web design that sits well with your company's brand strategy. By hiring an expert company, you reduce outlays that are caused by key elements like labor and operational costs. Such a company can accomplish every web-related work while using new technologies. And by doing proper web development and designing, your business can stand strong in today's competitive environment. Many inexperienced web development companies struggle in completing a project within its defined time frame. But a business can avert such problems by hiring a professional web development company. In such a way, your business will get flawless and cost-effective web solutions. So hire a web development company right away as it will provide a business the best of tools to promote its website on the web. Always remember to hire a web developer only after getting quotes from two to three web development companies. This is an information age. Everyone is looking for authentic and relevant information. The social media platforms are considered as the best channels where one can easily get the authentic information. In today's scenario, one cannot underestimate the power of social media. It is one of the most powerful tools to spread information. 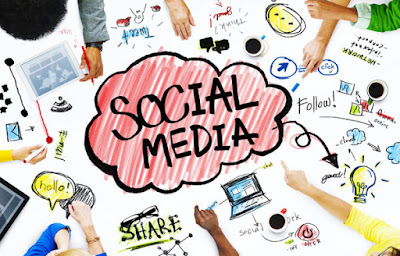 When it comes to online business, it is necessary to have a very potent presence on social media platforms in order to get connected to millions of people. Nowadays, social media has become a very effective tool to spread your online business. Using this, the business organizations can directly get into interaction with millions of people. These platforms are best to spread information about the products and services. With the help of these platforms, the organizations can easily get access to the specific audience that finds the products and services of the organization interesting. Using these platforms, the organization can spread awareness among the masses about their products and services in a more efficient manner. Presently, spreading goodwill among the targeted audience is very important in order to boost the overall performance of the business. The social media platforms are best in spreading the awareness about the organization. This is certainly the most potent tool to build an online reputation. In order to generate revenue by doing business online, it is mandatory to have a very good online reputation, as it increases the level of trust among the buyers. So, using social media platforms the organizations can easily do online reputation management. It is one of the most popular social media platforms. Millions of people across the globe are using this platform in order to exchange information. Using this platform, the organizations have wide flexibility in spreading goodwill among the targeted buyers. The organizations can use facebook page to get connected to the buyers. A regular updating of the page helps in starting the interaction with the crowd. This interaction will help in spreading the trust. In this way, your follower will eventually convert into potential leads. It is the second largest searchable online directory after Google. It is a part of search engine giant Google and helps a lot in promoting your business. Using this platform, the organizations can spread information in the form of videos in order to spread awareness among the crowd. 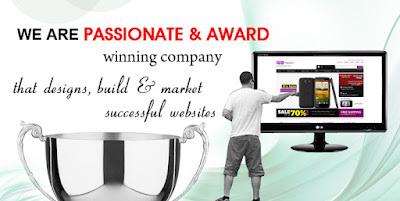 Using this platform, the organizations can easily fetch potential buyers to their websites. There are various other social media platforms that can help a lot in improving your online business. Some of the most popular are Google-plus, LinkedIn, Twitter, Pinterest and Instagram. Apart from this, there are several other platforms that organizations can also use in spreading good will among buyers. Using these platforms, the chances of generating online revenue will certainly enhance. Xsinfosol is a reputed website designing company in Delhi provides affordable SEO services to its global clients. 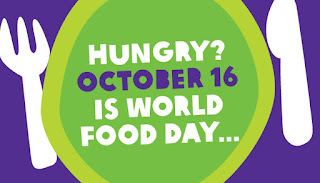 World Food Day marks a day to take action against hunger with the sole aim of eradicating it in this lifetime. The designated October day celebrates the creation of the Food and Agriculture Organization of the United Nations (FAO) raises awareness of the need for zero hungry mouths. Led by the FAO Liaison Office for North America, the World Food Day USA & Canada Network includes over 60 organizations, universities and companies. Across North America people take part in food walks and food drives to push the message and encourage others to do more to eliminate hunger. Nowadays, absence from the internet world may suggest you are non-existent in particular like a business. 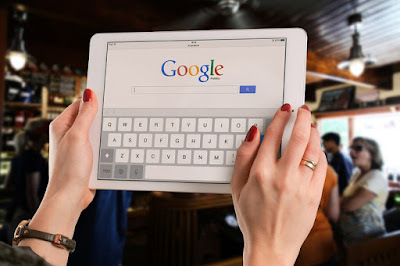 Everything can be quickly converting on to the internet meaning if you fail to be within search engine, no-one are going to pay significantly attention of people. Customer are likely to trust brands in which look for the researches dependent upon exactly what they are looking for as well as there is certainly therefore in which need to ensure you have an online presence in which does the brands justice. Online presence is just about the main things organization will take today. Now day, website development is needed with regard to creating a website site over the internet. The firms in which previously remain competitive on domestic level are actually for you to contend with international players. In this time, everyone likes spending time over surfing the internet; you can certainly execute your advertising of this business agency through launching your individual websites site. This excellent website would be accessible via the internet as well as it could be easily accessible through people moving into various areas of the globe. Unique application growth firms attended way up out there as well as these firms has been incredibly effective in supplying the top website development providers for the people who wish to own sites with the advertising of their business agency. Xsinfosol always aims at combination regarding most current technological for developments with website development. As a website application development Company we know how a website can take off with proper responsive web design, development and Search engine optimization. Right project research, viability, growth, advertising as well as maintenance would be the ways for you to achievement. Don't seek out a new web development company or web page design agency in which compromises top quality in opposition to value! Be anxious not; Xsinfosol is to use people because the very best as well as cost-effective offshore application development company. Ones web page design need to be the first priority prior to wind up in advertising tips for the awesome brands. Your characteristics can easily remarkably decide the efficiency on the web and should therefore be regarded as soon as developing your business website. 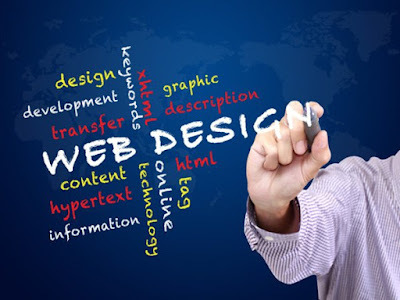 Website design companies at Delhi may help you attain the most beneficial for your website through being sure that many crucial characteristics aren't left out throughout the design on the site. 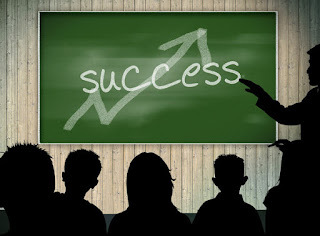 Xsinfosol specialists tend to be qualified as well as inventive for development. The Founder, Mental Health Foundation, Emmanuel Owoyemi, has called on the Federal Government to put in place the required manpower and infrastructure needed to manage people with mental illness living in various communities across the nation. In an interview with our correspondent, Owoyemi said it wasn’t news anymore that there was an upsurge of mentally-ill persons roaming the streets. 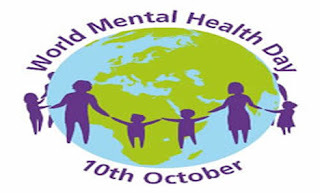 He said, “Today is World Mental Health Day and till date, the causes of increasing sight of mentally-ill people in our nation remains the same across board. Lifestyles (alcohol, drug abuse), insecurity, increasing poverty and hopelessness, lack of strong political will on the side of the government and many more are all responsible for this notable increase in mental illness. However, Owoyemi said he hoped the Lagos State Government would continue to set the pace in addressing mental health issues. “Lagos State currently has a mental health desk at the ministry of health, the first in Nigeria, even before the Federal Government. Beyond having the desk, however, is having mental health care, advocacy and infrastructure as a budget item. It is important adequate funding is provided to strategically address these issues,” he said. Owoyemi urged the Lagos State Government to focus on funding aggressive advocacy programmes so as to increase the number of trained professionals. He said, “Other areas to focus on include subsidisation of hospital bills and drugs, enlargement of psychiatric facilities, training and retraining of psychiatric workers and implementation of strong legislation against stigmatisation and discrimination of people with mental illness. Software development has become an unavoidable part of any business today - be it big or small, budding or established. Even so many business still hesitate on investing in this part of their business. Some consider their brands sufficiently visible. Others see it as a one time investment, finished once a website is up and running. However, software development is much more complex and demanding than that. It requires a concentrated long term approach by trained and experienced developers. We present five reasons why you must outsource software application development to established companies like XSinfosol Pvt Ltd.
A good software development company will start with your website. If you still do not have one, you need one pronto. If you do have one, developers will evaluate the design and functionality of the website. The internet drives almost everything today and it is essential that you create a foothold in the world wide web. Not just that, you need to ensure that your website grabs the random surfer's attention and keeps it. Many companies appoint one or two developers and expect them to carry out the entire software development. This is foolhardy. Software development is a massive project and has to be diligently carried out. By choosing to outsource software application development you can benefit on many fronts. 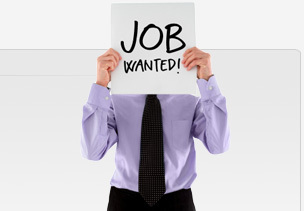 You can avoid the significant salary and overhead costs such as medicals, insurance etc. Even if you do choose to keep a few developers, use them to enhance your own functions and outsource the rest. Most companies offer varied packages and you can choose one that suits your budget and allows you to use your resources in the best possible manner. Not all developers are the same. You own developers many have created your website, but does it have the punch, oomph or style you were looking for? There are many aspects to website design, such as the look, style, ease of navigation and functionality. An established software development company like XSinfosol Pvt Ltd. will have both website designers and developers. One can create a site that stands out from the rest of the competition, while the other ensures that all backend applications run smoothly. Most websites and companies these days require serious security measures. Many of them are weak against hackers, company spies and even thieves. You own systems have to carry all requires firewalls and other backup systems. If you run a retail section, you need to ensure a fully secure shopping site. Today one needs multiple applications, including mobile and tab applications. If your website does not have a mobile version, you lose out on millions of cell users. As the way we surf the net, do business and shop for commodities changes, every business must keep pace with demand of the new tach savvy consumer with multiple application adaptability - an essential function of outsource software application development.